Connecticut Food Bank's 2011-2012 annual report recognizes those who help in our mission to alleviate hunger since 1982. The report covers fiscal year July 1, 2011, through June 30, 2012. Connecticut Food Bank is seeking volunteers to help with the nationwide Hunger in America 2014 Study which will help bring about positive change in our local community. We've launched a new web page about nutrition education. There you'll find healthy recipes! 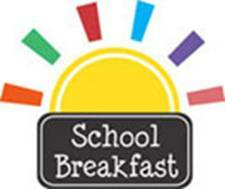 The National School Breakfast Program supports child development, improves health and boosts school achievement and student behavior. So why is Connecticut last in the nation for schools who participate in the National School Lunch Program? Click here to see if your town is on the list. Connecticut Food Bank is a private, nonprofit organization whose mission is to alleviate hunger.